BAK Middle School of the Arts' Community Talk Back posted the George Perez ceremony video. The video was recently uploaded (12 July 2017), but it would seem that the footage might have been from George Perez's visit to the school in 2015... when West Palm Beach Mayor Jeri Muoio presented George with a proclamation and key to city. Other awards in the video included Certificate of Appreciation and a medal Star. 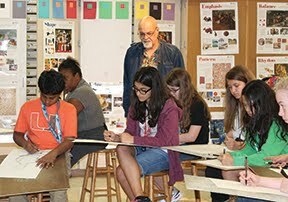 Famous comic book writer and illustrator, George Perez, returned to Bak on Feb. 23. His visit was organized by the MSOA Foundation. “[Perez] is able to teach storytelling, character analysis, and creative writing, which are skills that will transfer into just many careers the world has to offer,” Susy Diaz, executive director of the Foundation, said. Perez and his wife, Phoenicia Flynn, both interacted with many students. “I taught a masterclass in the morning to visual and communications students, and my wife taught three dance classes this time. It was great,” Perez said. West Palm Beach, FL. Legendary comic book artist, George Pérez, and his wife Phoenicia Flynn will be visiting Bak Middle School of the Arts at the invitation of the Middle School of the Arts Foundation on Tuesday, February 23rd. Their visit will incorporate Master Classes for the students and a tour of the new West Palm Beach Arts District. 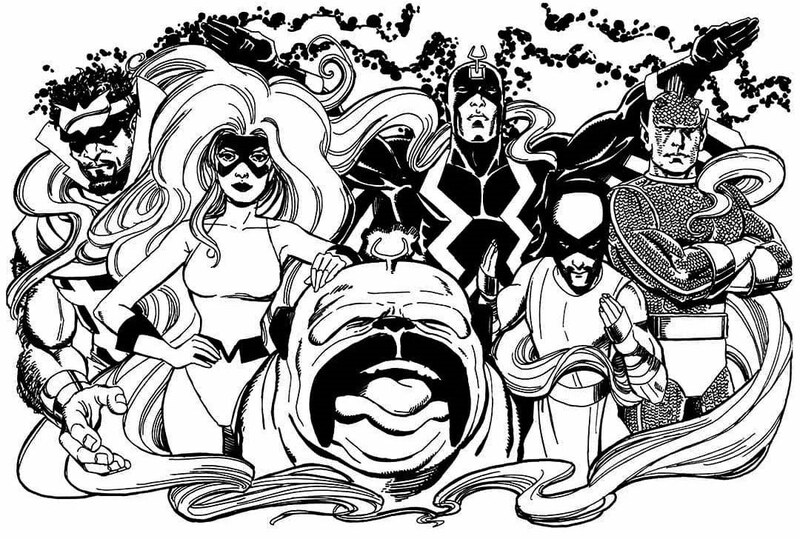 Best known for his drawings and work with DC Comics (Superman, Wonder Woman, The New Teen Titans), Marvel Comics (The Avengers, X-Men), and most recently Boom Comics as creator, author and illustrator of Sirens; Mr. Pérez will be visiting in order to share his storytelling and artistic talents with the middle school's Visual Arts and Communications Students. Ms. Flynn, an artist in her own right, will be teaching two Workshops to the middle school's Dance Students. As part of the day's festivities, the students, faculty and staff are encouraged to dress as their favorite Superhero. This is Mr. Pérez's second visit to the school. During his visit in 2015, Mr. Pérez received a proclamation and key to city from City of West Palm Beach Mayor Jeri Muoio. When asked about his return to Bak, Pérez stated, "Carol and I are so looking forward to returning to the Middle School of the Arts. Anything that encourages, nurtures and supports a child's love and appreciation for the arts is definitely something close to our hearts and we're beyond excited to be part of that." Following the Master Classes, the dynamic duo will tour the new West Palm Beach Arts & Entertainment District, including a visit at the recently installed Musical Swings. The tour will be hosted by Downtown Development Authority's Executive Director, Raphael Clemente. The mission of the Middle School of the Arts Foundation is to develop permanent resources to ensure world-class standards of excellence in arts and academics at Bak Middle School of the Arts, a public school serving all of Palm Beach County. The Foundation's purpose is to identify and secure means to meet needs beyond those that can be funded by the Palm Beach County School District. The Foundation provides funding and volunteer support for Bak's efforts to promote and expand diversity, improve achievement and focus on a unique arts curriculum. Since it, inception, the MSOA Foundation has provided nearly two million dollars to assist in the funding of Artists in Residence, Consultants, Guest Artists, specialized instruments, supplies and equipment for Bak Middle School of the Arts.